Ready …? Are you nervous about what will happen about the next minute when you land in an unknown country, do you feel comfortable or hesitate to work their or just get mixed with the culture enjoying the style of living which is in fact a new of a kind experience to you. Definitely yes, most of the people get addicted, people have dreams to work abroad but will you manage both work and living at the same time, I’ll tell you how. First and the foremost thing is “fear” get rid of it early as possible. Fear makes you lose chances no one like to lose chances. Don't be too afraid of being the ugly foreigner -- at least at first. That being said, there are some cultures that are fussier than others careful with the cultures. Do you just want a job or is this a career move? Abroad jobs in a way purposefully move your career forward. 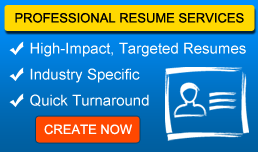 Getting a position you can proudly script your resume for the rest of your life is difficult. Not impossible, because there are no shortcuts to building a dynamic international career. Developing a solid community of contacts is an important career-building step. Working abroad will help you to create new global contacts. As you mingle with colleagues in the office and make friends outside of work, you will build relationships that can aid in building a truly global career. When you are working in overseas jobs you will soak up new knowledge and skills from your work role, your experience outside the office helps you grow as well.